I never in my wildest and nerdiest dreams ever thought that I would read an entire book about the business practices of a company. I can barely multiply with out the help of a calculator. My mind is not built for, much less interested in, taking in business jibber jabber. But when a fellow thru hiker suggested that I read this book, even the vary name, Let My People Go Surfing, seemed to defy what I knew about the way a big company could function. By the time I turned the last page I had felt a lager array of emotions than I had ever felt from a single book before. I had been inspired about the effect a small community of like-minded individuals can have on our society. I had thrown it down in excitement to go be outside, experiencing the beauty of nature around me. I had been called out for living selfishly and with little concern for what was beyond my own life. I had gotten pissed off at the blatant misguidance my country and I had suffered from. But most of all, I felt empowered. I felt as if my life and the way I chose to live it made an impact on this world, even if only because I produced more positivity in the world as a result of knowing I was living the sort examined and responsible life that I could be proud of. All of this from simply reading about the business practices of Patagonia, Inc.
For anyone who is new to the outdoor gear world (or living under a rock, which they would approve of), Patagonia is an outdoor company that sells clothing and gear. Okay, so they’re not just any old outdoor clothing and gear company, but more like an incredibly well known, top notch and highly sought after company. This isn’t only because they have become popular as a “casual wear” trend (we called it Patagucci on the Appalachian Trail) but also because they have carved out a new way of doing things in the business world that has enraptured the hearts and consciously spent dollars of environmentally minded outdoorsmen and women around the world. Yvon Chouinard, better known as the founder and owner of Patagonia, never wanted to be a businessman. He started making rock climbing gear in the late fifties for himself and friends after high school because they simply wanted better gear. Soon enough, friends of his friends wanted better gear too and Yvon was eventually able to make a meager living between climbing trips by selling his gear out of the trunk of his car. This then led to him setting up a blacksmithing shop in an old warehouse in Ventura, California in 1966 under the name Chouinard Equipment Co. The location was chosen for its proximity to great surf waters so that Yvon and his employees, a.k.a. his dirtbag friends, could go surfing whenever the waves were right. In time, the company grew from solely making climbing and mountaineering gear and began designing clothing as well. 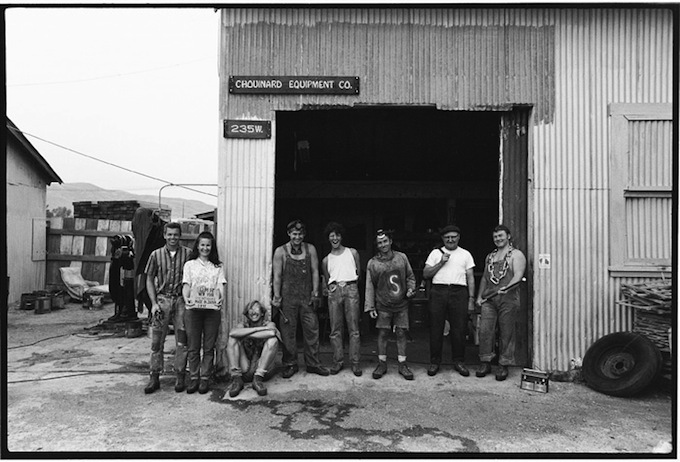 Instead of diluting the intention of the two different endeavors, Yvon founded Patagonia in 1973. To this day the Ventura location is the headquarters of Patagonia. 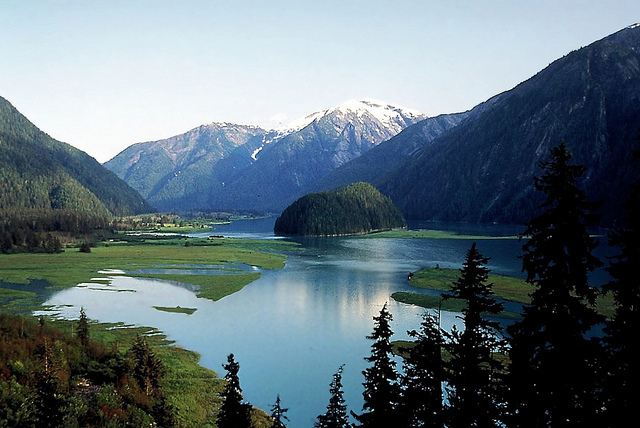 Patagonia partnered with the people of the Kitamaat Village near the British Columbia Coast to save the Kitalope River area from being logged by European companies. All it takes to build a company is a product or service. All it takes to build an image is a creative marketing department. But as Patagonia grew, they wanted more out of the company. By the mid-eighties, the environmental costs of producing their products became a glaring hang up. How could they, aggressive revelers in the pristine beauty of the remote places on earth, go about knowingly contributing to the destruction of the very places that drove them to create their products? They had long since been their own best customers with a work force complied of climbers, surfers, mountaineers, kayakers and skiers. Creating quality products is a top concern when you and your friends trust your lives with a single piece of gear. But it was suddenly no longer enough to create a product that was expected to hold to stringent quality standards. Now they wanted to do it with as little of an environmental impact as possible. Que the entrance of Patagonia’s philosophy. They sat down and wrote out their heartfelt direction and destination for the company so that they could both achieve it and then not loose their way once they had arrived. This called for some tough changes to be made. They have switched to using as much organic cotton as possible, many of their polyester fleece jackets are made of plastic soda bottles and their buildings and warehouses are as “green” as possible. On a smaller scale, they subsidize the purchase of a hybrid car for their employees and encourage them to bring in their recycling from home. Still, this doesn’t even scratch the surface of their efforts and doesn’t include the most impressive one. Every year since 1985, the company has donated 1% of all sales to environmental endeavors. Most of the time this looks like providing funding for individual activists or organizations that are working to preserve or restore the natural environment. This seeming death sentence of 1% of sales (ALL sales, despite how good or bad of a year it is) is what the company looks at as its “tax” for not being completely sustainable. 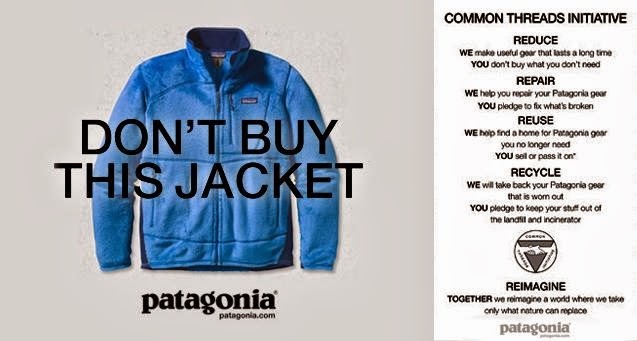 One of a long list of reason to buy Patagonia’s products is that they don’t want you to just buy a ton of their products. Despite many expensive, morally driven acts like fighting the “battle” and solving the “problem” of finding environmentally friendly dyes for clothing, Patagonia has still remained a profitable company each year. And this, even after giving away tens of millions of dollars to benefit the environment. Imagine if this was the way all companies worked. Imagine if Wal-Mart was so passionate about providing clothes, shoes and toys to children that they donated millions of dollars, billions even, to the cause. Imagine if McDonald’s was so hell bent on feeding the hungry in third world nations that they lead the trend away from out meat heavy diet and assisted local farmers in third world countries with getting started. Our planet, the entire human race, would be a different place. We would most definitely be headed in a different, less dark, direction. If one company can find out how to do it, then there is hope still. If the dirtbags can do it, so can the businessmen. 180° South is a film about adventure and taking responsibility for the earth. Its beautiful and inspiring but even more so educational. Jeff Johnson strikes out to retrace the steps of Yvon Chouinard and Doug Tompkins (The North Face founder) and a trip they took back in the 60’s. 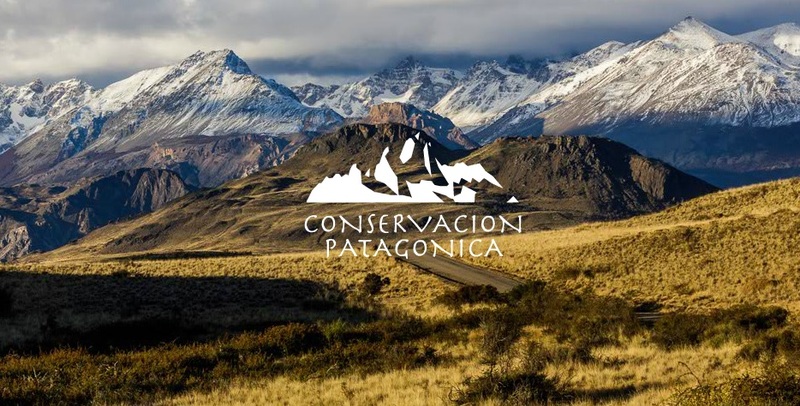 Conservacion Patagonica is an organization working to preserve the natural landscape of Patagonia in Chile and Argentina. Doug and Kris (former Patagonia CEO) Tompkins have already placed over 200,000 acres of land in conservation in Patagonia and are still adding more. Each year they take a few volunteers to help in the building of Patagonia National Park. Volunteers work with locals to tear down fencing, record animal activity, collect native seeds and do whatever task need to be done around the park. After getting a Fine Arts Degree in Photography, I set out and thru hiked the Appalachian Trail in 2013. Upon my return, I landed a job where I got paid to nerd out about gear all day (Thanks REI). A year later I took it one step further into the outdoor retail world and started working for Mountain Crossings at mile 31.7 on the Appalachian Trail in north Georgia. Now I get to live and breathe the AT every single day!